Support our 3rd Annual WWU QueerCon on April 27th, 2019 | 10am-5pm in the Academic West building on the WWU Campus! 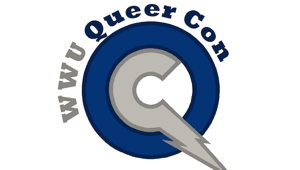 WWU QueerCon is a group of dedicated queer people who want to create a space to celebrate queer and LGBT+ identity, creativity and community. 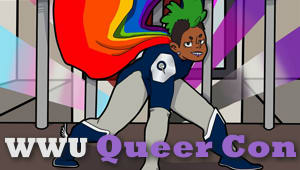 The goal for WWU QueerCon, a fan convention, is to provide an opportunity to highlight queer stories and creators in an inclusive and friendly space and strengthen the queer and LGBT+ Community at WWU and the Bellingham area. We are an annual queer media convention advocating for representation in the media we love. Donate to help us with guest fees, facility expenses, and advertising.